SEE result 2075 has been published on June 20, 2018. Now, SEE result 2075 toppers name list is coming on. Let’s know, who is the SEE topper 2075 of SEE 2075/SLC 2075? SLC Nepal board has already stopped publishing the name of board topper since few years. It is done to reduce the unwanted competition between schools. So, the formal announcement of SEE Topper 2075 will not be announced in any case. SEE Topper 2073 list is now determined by different schools. Different schools announce their highest grades and later on, it is compared between schools to determine the highest scorer in SEE examination. 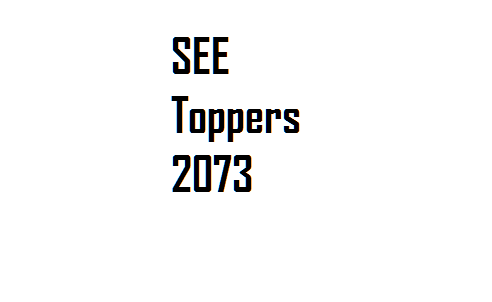 SEE Topper 2075 name will be announced in this page as soon as it is out. We will even list out all probable SEE topper students in this page. Here is the list of SLC toppers till date.